William Drabble's foie gras canapé is impressive but very simple to prepare. 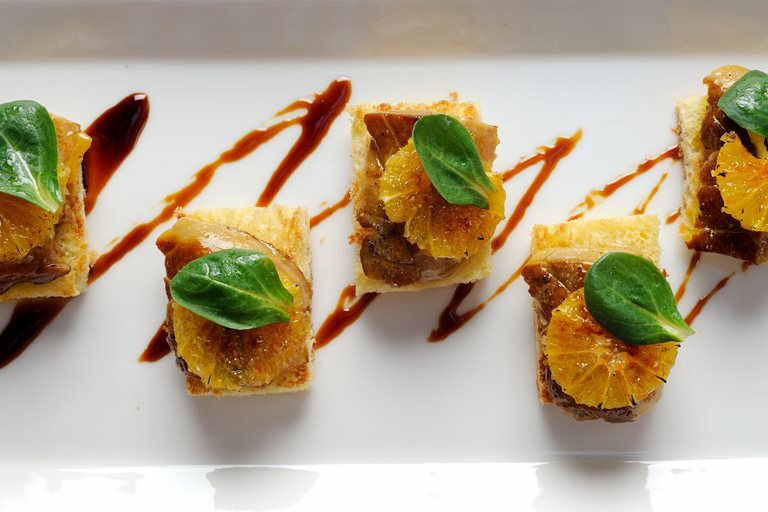 Toasted brioche is here topped with sweet, caramelised orange and creamy foie gras. Both ingredients are expertly paired, as the sharp citrus elevates the dish and cuts through the richness of the foie gras.